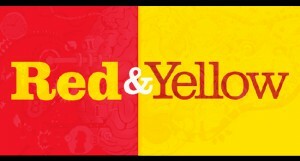 A student tells SAstudy about her day spent at the well known advertising and marketing school, Red & Yellow. 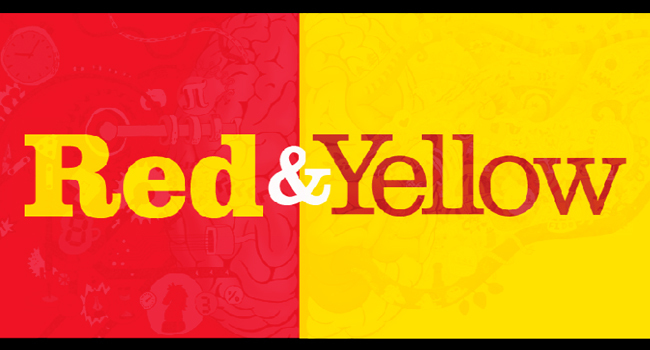 Under the guise of helping my 18-year-old brother find some direction and overcome his current existential crisis, I spent the morning at the open day at the Red & Yellow School. A number of acquaintances from my undergrad degree had enrolled this year in the postgraduate MAC (Marketing and Advertising Communications) course, and having heard them hype it up for several months now, I decided to go check it out and see how it compared to my marketing course at Stellenbosch. Late as usual, myself and my scrawny sibling snuck into the back of the small lecture room, my luminous orange jersey unfortunately rendering our attempts at subtlety useless. The morning began with a talk from John Cooney, MD and course director, who gave an overview of the advertising and marketing industries and explained what Red & Yellow considered to be the benefits of attending their institution. Peta Broomberg, the school’s strategic planner, then ran us through the MAC students’ syllabus for the year. Next up was Patrick Leslie, whom I coincidentally realized was the cousin of my childhood best friend. A R&Y alumni and current brand builder at RGBC, Patrick spoke in-depth about RGBC’s digital campaign for Dom Perignon and how to succeed in the marketing world fresh out of varsity. Finally, the morning’s seminar was concluded with presentations by two groups of students from that year’s MAC course. We were then invited for hot dogs and cooldrinks on the roof of the building, overlooking Woodstock and towered over by Table Mountain. When I arrived home after our day at the college, I had a lot to think about. After my undergrad, I had debated profusely whether to stay at Stellenbosch or attend R&Y, with my innate love of Stellies essentially making the decision for me. However, in the inevitable grass-is-greener way, one does always wonder how things may have alternately turned out. Initially, during the directors’ introductory talks about how beneficial, well-connected and unique the school supposedly is, and how graduates “hit the ground running” and walk right into a job, I felt slightly unnerved, against my better judgment; especially after learning of their newfound collaboration with Quirk Marketing Agency. But when the students came up to present, and I spoke to them afterwards, I saw so so many similarities between their class and ours – the presentation nerves, the struggles of group work, the daunting experience of first-time encounters with such a competitive industry. Ultimately, although the R&Y experience is relatively more practical where Stellenbosch is theory-based, I suppose what you take from your institution depends on yourself entirely, and is shaped by the extent to which you attempt to understand the content and engage with the tasks at hand. So although I have a lot of admiration and intrigue for the Red & Yellow School, the main thing I took from their open day, strange as it sounds, was the idea of learning to be a sponge – filtering chaotic inputs into meaningful outputs. Surely that’s more important than where you chose to study.